Use this great package to help you plan and officiate memorable and legal weddings. 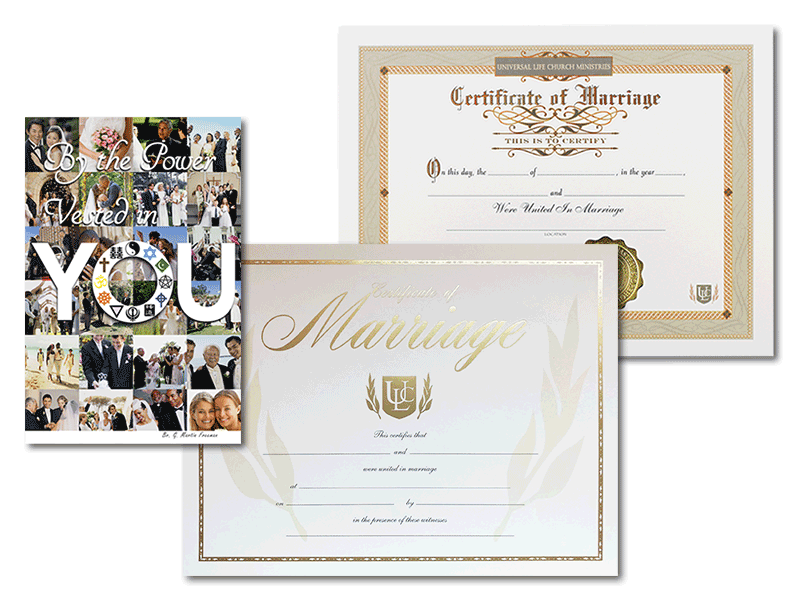 Use this great package to help you plan and officiate memorable and legal weddings. The official ULC credentials are used to get you registered with the county clerk. The decorative wedding certificates provided in this package will be part of your post ceremony presentation to the couple. 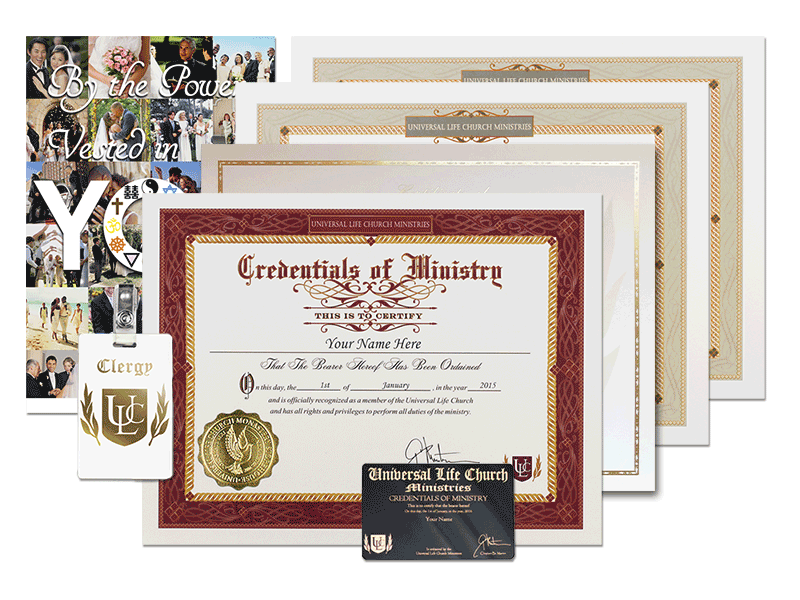 The optional Letter of Good Standing is sometimes required by certain states and counties to document your status as an ordained minister in good standing with the Universal Life Church. The author of the included guidebook is an ordained minister who has more than two decades of experience in personalized weddings. Love for people and the desire to provide couples with a non-judgmental and personalized approach to selecting the words spoken at their wedding were the inspiration for this guidebook. The author takes the immensely practical tack of helping you select the right words for the wedding, from pure suggestions to complete sample ceremonies.